As there are no bright flashy neon signs giving directions, let us help you find your way towards Neretva Canyons and Arid Rift. 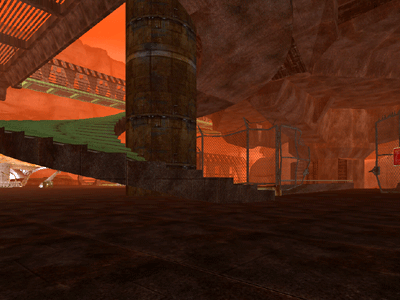 Firstly you need to get yourself to the Alien Outzones: You can follow this guide here. Head through the gate as shown in the above image, and then follow the path forwards. 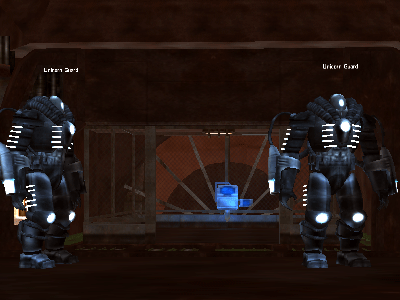 You will come to an elevator shaft guarded by two Unicorn Guards. Click the lever to zone. 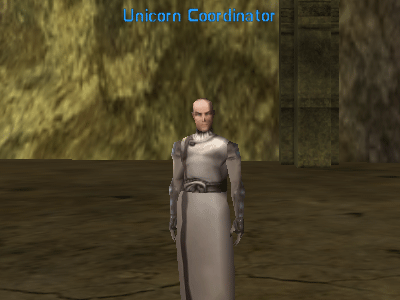 Once you zone through, you need to seek out the Unicorn Coordinator. 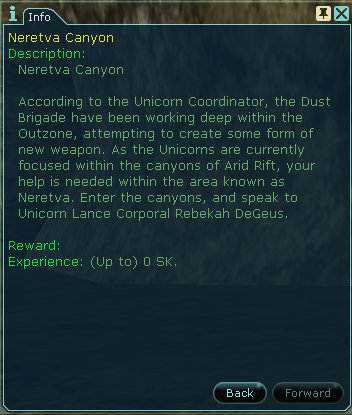 By speaking to the Unicorn Coordinator, you can find out more about both the Neretva Canyons and Arid Rift. To get to it, run around the edge of the ravine, past a few wandering spirits who are really low level and you cannot attack them. 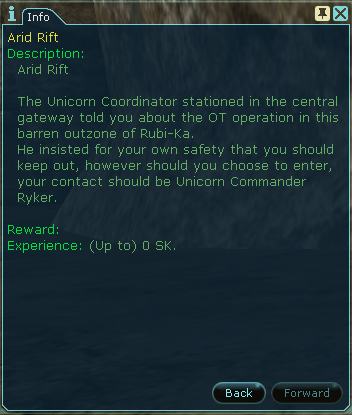 At the top of the structure you will find Unicorn Commander Labbe and also a Pandemonium Portal. 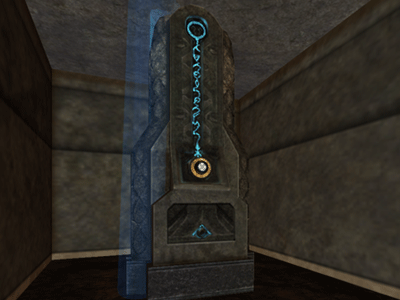 If you click your Pure Novictum ring (+10 ring) on this statue, you will be zoned to Pandemonium. 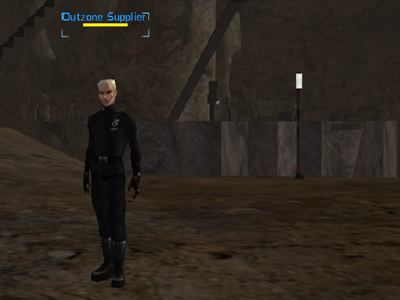 The Outzone Supplier is a great feature in the zone. He stocks ammo, health / nano kits and also a few other miscellaneous items. 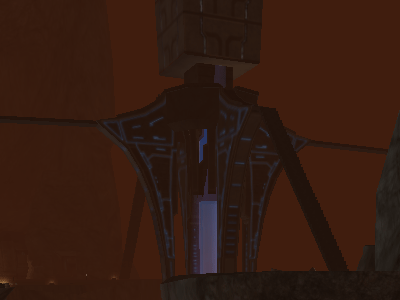 In addition, next to him is a Bank Terminal, ICC Cell Structure Scanner and a respawn point. You can "fall" or rather jump into the large ravine that is behind the table next to the coordinator, over the sand bags. Doing this will zone you back to the Unicorn area near the spiral stairs.